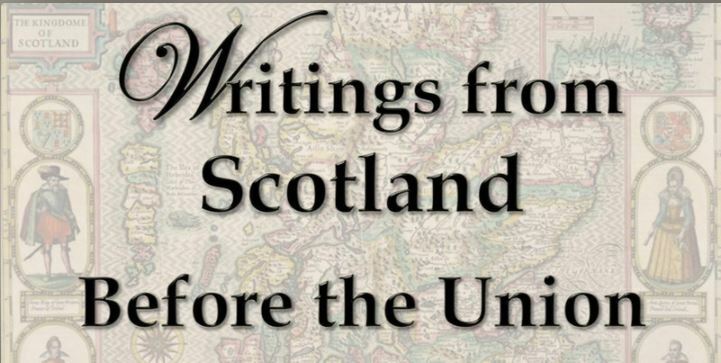 Now in its second year, Writings from Scotland Before the Unionis a one-day conference, hosted by the Centre for Scottish Culture at the University of Dundee, which seeks to further understand how Scotland saw herself in literary terms before formal union in 1707. 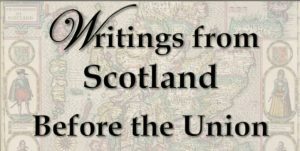 Registration opens at 09:30 on April 21st in the Baxter Suite in the Tower Building on the Nethergate in Dundee before the first panel begins at 10:00, running through the day and culminating with a dramatic reading of Henryson’s Testament of Cresseid performed by the JOOT theatre company. The event is free and open to all (including lunch and refreshments) but registration via Eventbrite is ESSENTIAL. “To justify the wrath of God to men” – Irae divinae in Scotiam accensae: God’s wrath poured out in Latin verse, 1652.